Last week we got the opportunity to do so, thanks to the ‘Be Bold New York mission’ which was organized by iMinds, Telenet Kickstart, Start it @ KBC, Startups.be and Flanders Investment & Trade. Our goal was clear: an extensive presentation of our vision & product and making professional contacts on US soil. From day one, we were able to present our platform on several occasions. We even pitched Cumul.io at Techstars, a prominent global accelerator. Moreover, we were fortunate to meet representatives of different Belgian companies who already crossed the Atlantic Ocean, and did so successfully. In particular we would like to thank Collibra for their more than valuable insights. Their perseverance and strong belief in their vision is what made their story into a success and what inspired us a lot. 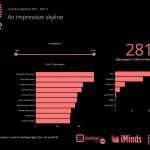 Aside from our product demonstrations, we showcased our product on social media by publishing dashboards with information on the city itself. 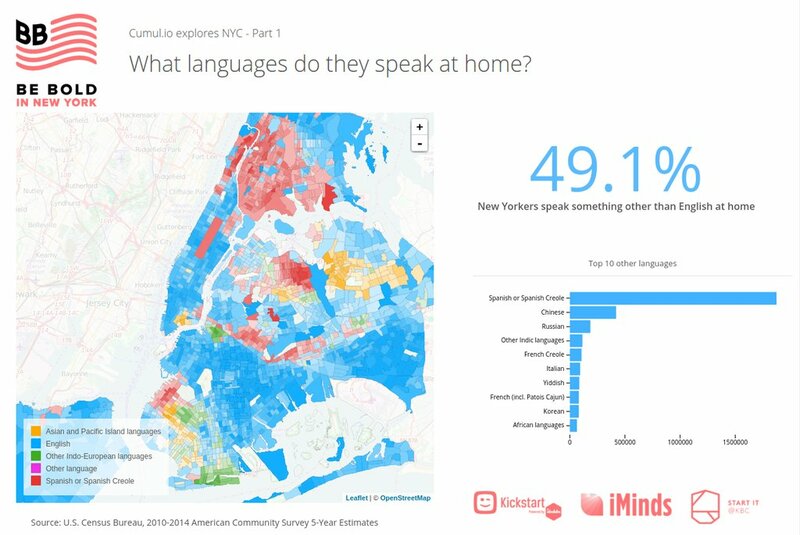 One of these dashboards provided insights on the height of the NY skyscrapers, another one on the most spoken languages in each neighborhood. 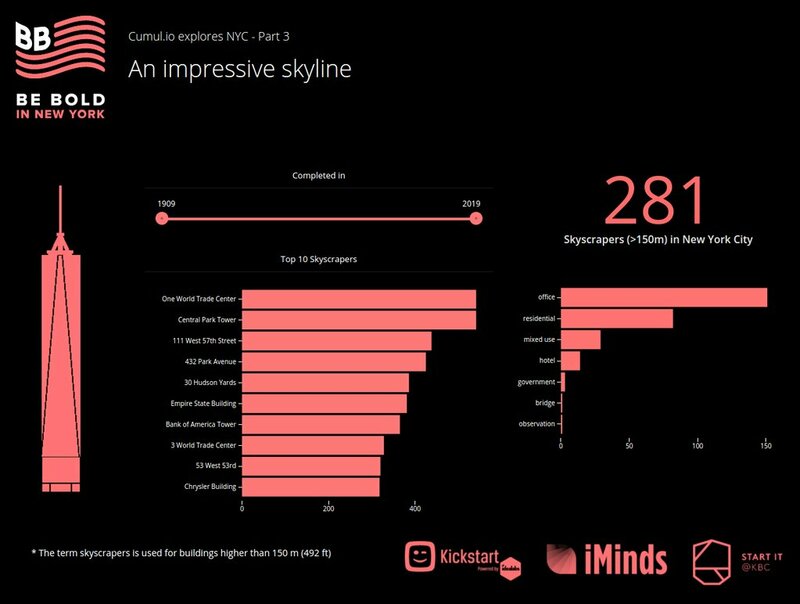 These visual insights were well received, not in the least by the New Yorkers themselves. Be sure to have a look for yourself by clicking the thumbnails below this post. It’s clear that we are very satisfied with the many enthusiastic reactions on Cumul.io and all the worthy contacts we made during the course of the week. We’re convinced we are heading in the right direction and we suspect a follow-up trip to the US is more than likely in the near future. 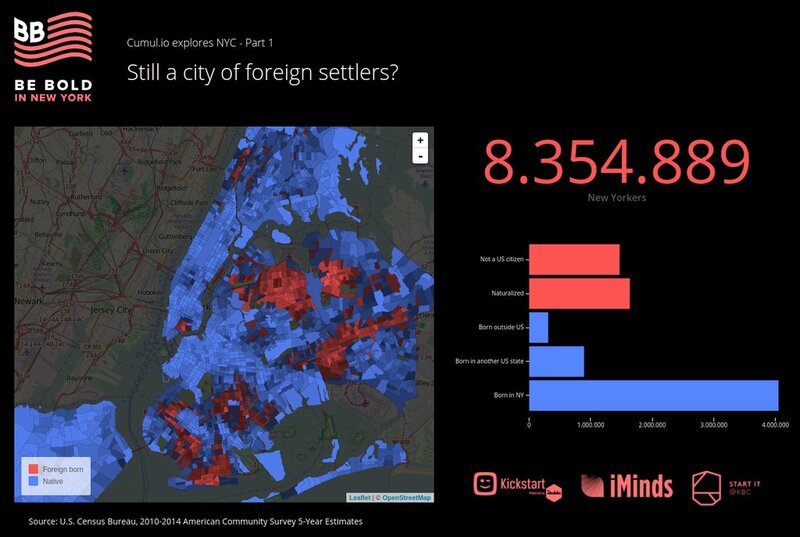 NYC: Still a city of foreign settlers?